The next meeting of the Pilot Group will be held from 22 to 26 October 2018 in Kathmandu, Nepal. 40 representatives from 24 countries will participate. As with each Pilot Group, several information and exchange sessions are planned on current projects and partnerships, members’ activities and the situation by country and by platform. 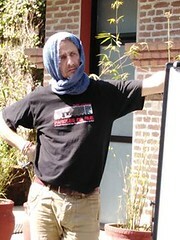 The last meeting of the Pilot Group took place in Senegal in 2016. What is the Pilot Group? The Pilote Group is made up of all the coordinators and coordinators of the street social worker platforms that are members of the Network. Each platform represents one country and brings together several local associations (sometimes hundreds), as well as individual street workers. At the national level, platforms meet regularly to develop strategies and carry out activities that allow street workers to confront their realities. One or two coordinators per platform is responsible for liaising with Dynamo International’s technical team, which coordinates the Network from Brussels. All of these coordinators form the Network Pilot Group. Since 2008, the Pilote Group meets every two years to decide on the missions, objectives and activities to be implemented. The next meeting will be held in Nepal from 22 to 26 October 2018.
Who participates in the Pilot Group? What are the challenges of the Pilote Group in 2018? The decision was taken to address the issue of ghost platforms. If, in its early days, the Network has supported its legitimacy on the expansion of its social base, i.e. on the number of social street workers represented by the Network, today the most active members wish to consolidate this base on the specialization of social street work, even if that implies moving away from the least involved members. From now on, the legitimacy of the International Network will be based on more qualitative considerations related to effective street social work, rather than on the number of partners. In 2018, we launched a new mapping of Dynamo International – Street Workers Network to obtain comprehensive and up-to-date information about each Network’s member. This should help identify ghost platforms. The previous census conducted in 2015 via a questionnaire sent to members counted 11,500 street workers in 50 countries. These working groups will be transversal, i.e. including representatives of different countries and continents. Reflection on the creation of transversal working groups will be launched in 2018 and concretized in 2020. A methodology and framework for this remote work will have to be proposed and established. Members will engage on a voluntary basis and according to their affinities on certain work themes (definition of basic concepts, methodological reflection). Their proposals will be introduced and discussed with all the members during the Pilot Group in 2020. What is the role of the experts? How and where can they engage? What are the expectations of the members? What are the expectations of the technical team? 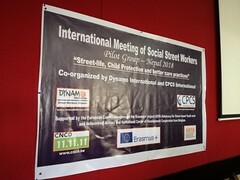 In principle, each member platform of Dynamo International – Street Workers Network commits to pay its membership fee. But in practice, this contribution is not claimed regularly. A brainstorming session on this topic will be led by the technical team in Nepal. Advocacy: What follow-up to the UN text on children in street situations? A third youth forum “Words from the Street” in 2020?